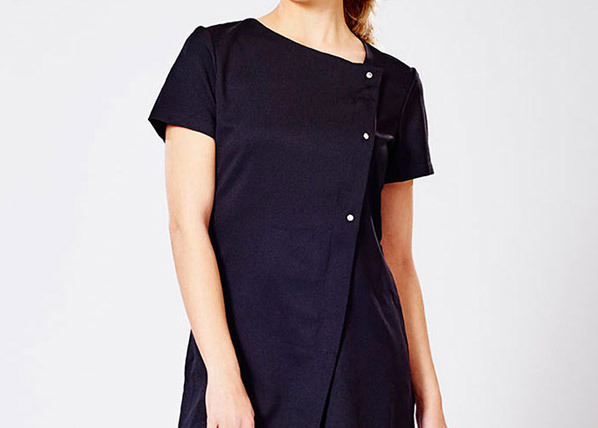 This tunic works a lower sloped neckline and is front fastening for comfort and ease. The three crystal buttons add a dash of glamour to your professional look. 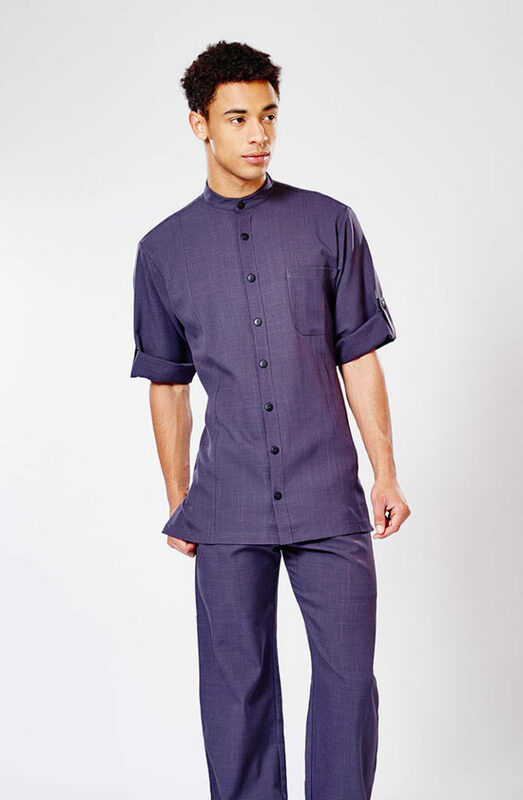 Produced from 100% soft twill polyester. 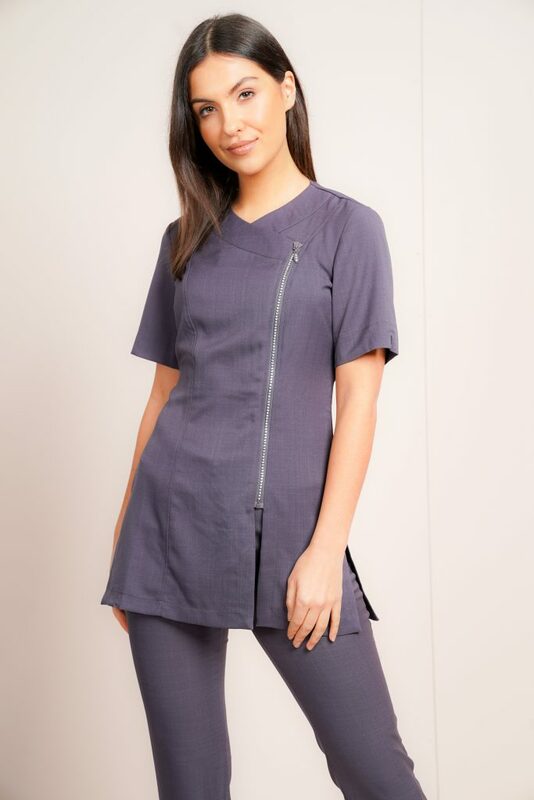 All the practicality of a front fastening tunic with the added glamour of diamante. This is perfect for those who want a classic shape with a touch of sparkle.